It all started a couple months ago, when a friend and fellow autism parent asked me to design a dragon for her son. Her son is a big fan of How To Train Your Dragon, and my friend specifically asked me to make sure the dragon looked like Toothless, the lovable and quirky companion of Hiccup, the story's hero. I wanted the dragon to fulfill my friend's request, but I also wanted to make this design my own. 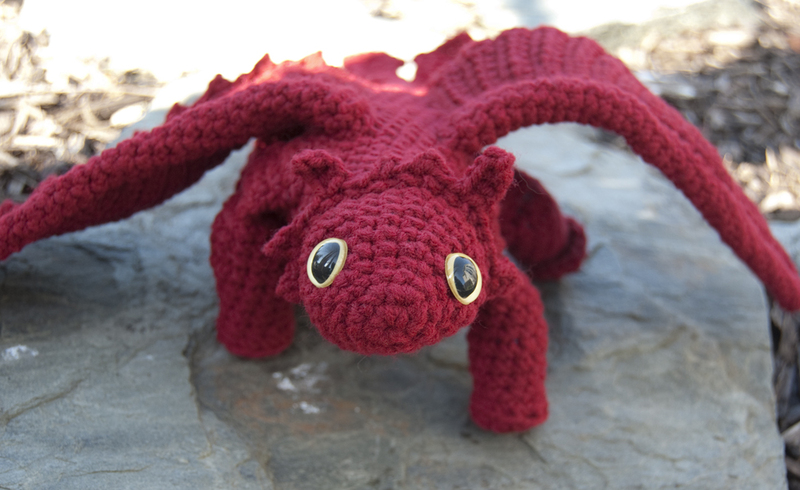 I have a deep-rooted love for dragons that goes all the way back to my childhood -- and so, after many attempts, I have finally finished it... my Amigurumi Dragon II. Why "II," you ask? The design builds on many of the techniques used in my original Fairy Tale Dragon pattern and would make a great companion piece. While the new dragon is a little larger than its predecessor, that length comes mostly in the tail -- the two look great together. Make no mistake... this pattern is challenging. But with 10 pages of instructions and more than 25 photos, intermediate and advanced crocheters should be able to tackle it with no problems. And of course, I'm always here if you get into a bind! The pattern is available through Ravelry and Etsy. 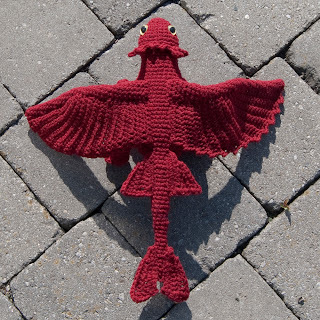 For more information on materials, finished size, and to purchase a copy, please visit the main page for this pattern. And I'd love to see your finished projects, so message me on Ravelry or visit me on Facebook to give me a shout!